On the App Store and Play Store, most of these applications are within the categories of Lifestyle and Productivity, and are mostly aimed towards the adolescent groups which have a tendency to use them. Photography is no exception since the rise of editing, photoshop, and aesthetic backgrounds has increased in the last decade, with our advances in technology itself. The following apps are recommended based on personal and widely reviewed qualities. A mobile app for iOS and Android devices made by the US Visual Supply Company. One of the great things about VSCO is that it offers a one of a kind experience for users to alternate and edit their photos however they wish. Partly due to the wide arrange of filters that enhance the appearance of digital photography. Users can publish their photography through a journal for the public to see. Having a wide array of choices in filters and background icons with fading highlights, there’s a lot of reasons as to why this app’s simple perspective even has professionals hollering. The majority of the editing work is done within the Tools section of the app itself. 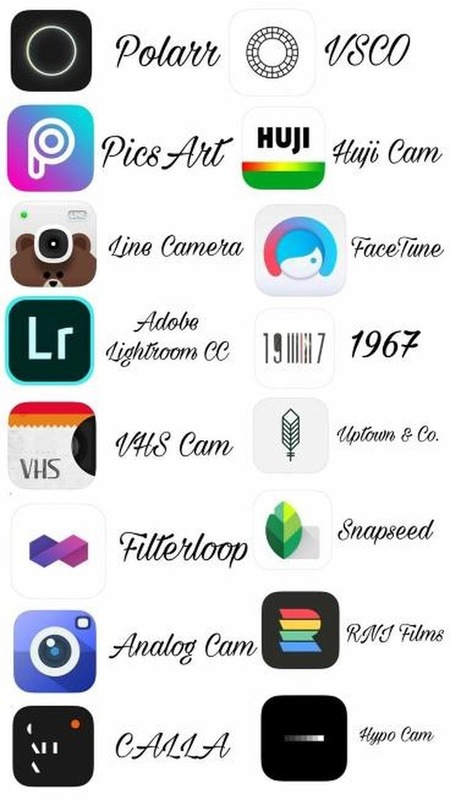 Other tools include filters for head poses, portraits, lens blur, double exposure, and text. It’s also very addictive by the moment you begin wandering from the tools to make adjustments, after all nothing is permanent until you decide it is. Taking your photos to the next level, especially in terms of its manner of shooting and editing, while beautifully doing it. One unique feature in Afterlight is white balance lock. This feature can be accessed directly to the right of the grid button and can be used to lock your white balance on the fly. This is especially helpful when shooting in dark environments. An app that’s inspired a cult following among a lot of influencers for taking photographs as if you’re “back in 1998.” One of the varying reasons as to why it’s a major jewel within the photographic scene is that not only does it offer tons of filters, perspective changing angles, and a vintage tone that gives off an ancient vibe, it truly makes you feel as if you’re entering another era.